Fiction writer to speak in Erie Thursday, March 27. 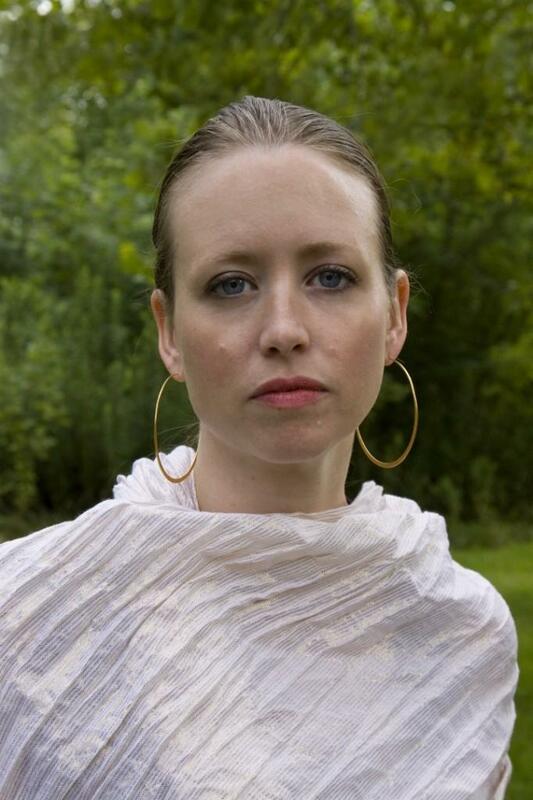 Fiction writer Laura van den Berg will be reading at Penn State Behrend on Thursday, March 27 as part of the college's Creative Writers Reading Series. Her works often address the nature of many common, yet profound, psychological issues, such as: self doubt, loss of identity, and the impact of one's past on their future. Van den Berg is the author of two collections of short stories. Her debut collection, What the World Will Look Like When All the Water Leaves Us (Dzanc Books, 2009), was a Barnes & Noble "Discover Great New Writers" selection, longlisted for The Story Prize, and shortlisted for the Frank O'Connor International Award. Stories from her second collection, The Isle of Youth (Straus & Giroux, 2013), have appeared in Ploughshares, Conjunctions, American Short Fiction, One Teen Story, Glimmer Train, The Southern Review. Van den Berg also published a small collection of flash-fiction, titled, There Will Be No More Good Nights Without Good Nights (Origami Zoo Press, 2012). She currently lives in Boston where is she working on her first novel. Matthew Evans: At what age did you discover that you wanted to become a writer? Was it a realization, or a process? Laura van den Burg: I didn't start writing until I was in college and it was a realization—in a fiction workshop, I encountered, for the first time, the contemporary short story and fell head-over-heels in love. But the act of being a writer is a process, an ever-evolving one at that. ME: As a novelist, your best, and perhaps only, apprenticeship takes the form of reading. Which authors, or works of literature, have particularly influenced you as a writer? LvdB: So many! If I had to name a few, Joy Williams, Amy Hempel, Jim Shepard, Yoko Tawada, Haruki Murakami, Javier Marías, Marguerite Duras. ME: Many of the stories in your collection The Isle of Youth concern struggles with self-doubt and uncertainty. What intrigues you about these struggles? LvdB: In my experience, the worst disconnection is not disconnection from other people but disconnection from yourself. That feeling of looking inside and feeling confounded by what you see. I've been there before, and so I was drawn back to that emotional space when working on the stories in Isle. ME: I hear you're working on a novel. How is the process different of writing novels and writing short stories? Do you find one more compelling than the other? LvdB: The main difference is the scale—it's like building a meticulous ship in a bottle versus building a cruise liner. In terms of process, stories are, for me, more compatible with being a person in the world. I can work for a few hours in the morning and return during whatever small patches of time present themselves. With the novel, the larger scale is a special and exciting challenge, but it's also harder to step away. I need to maintain a certain level of immersion, which can feel less compatible with living my non-imaginary life. ME: Do you have any advice on getting published? Anything you wished you'd known prior to your publication? LvdB: Your greatest ambitions should be for your work; always keep your eye on the most important ball. When you're ready to send out, don't be discouraged if you are met with rejection. Nearly all writers are, even the most talented. Work harder. Keep going. The reading will be held in Behrend's Larry and Kathryn Smith Chapel at 6 p.m. A reception for the author will be held at 5:30 p.m. Behrend will also host student senior thesis readings on Thursdays, April 10 and 17. All events are free and open to the public.